New engine, twice the development capacity of any other Ubi title. Assassin's Creed 3 will be Ubisoft's "most ambitious" video game ever, the company has claimed as it released the first trailer for the game. The game has been in development for three years - since the conclusion of Assassin's Creed 2, in other words, while spin-offs Brotherhood and Revelations were being released. It also boasts twice the production capacity of any Ubisoft to date. Development is being headed by Ubisoft Montreal, in collaboration with six (count 'em) other Ubisoft studios. It features a new engine, Ubisoft-AnvilNext, for improved visuals, character models and AI, allowing for battlefields full of fighters. The new title is set in American Revolutionary times and features a protagonist named Ratohnaké:ton, or Connor, who is of Native American and English heritage. 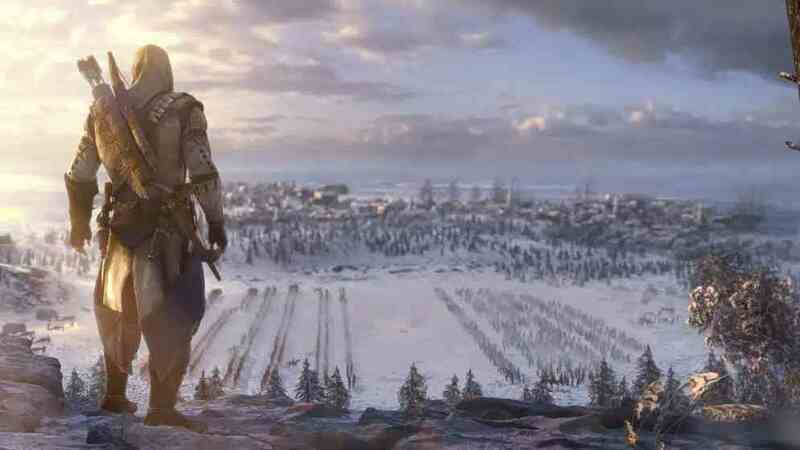 "Assassin's Creed 3 features the franchise's most expansive setting so far, along with an exciting new hero and exponentially more gameplay," said Ubisoft boss Yves Guillemot. "Whether you're a longtime fan of Assassin's Creed or if you're new to the franchise, you're going to be blown away by the scale and marvel of Assassin's Creed 3." View the new trailer in full below.